Singapore Airlines (SIA) has agreed to place firm orders for 20 Boeing 777-9s and 19 787-10s, for additional growth and fleet modernization through the next decade. SIA, which became the launch customer for the 787-10 in 2013 when it placed a firm order for 30, signed a letter of intent with Boeing to place firm orders for 20 777-9s and 19 additional 787-10s and to option six more of each. If SIA exercises its options, this will enlarge the deal to 51 aircraft. 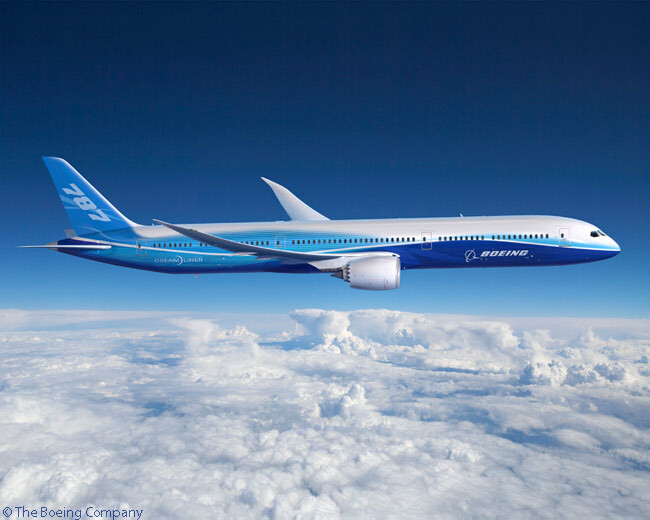 The carrier is due to receive its 777-9s and the 19 787-10s from its 2021-22 financial year onward. SIA is due to start taking delivery of the 30 787-10s it ordered in 2013 in its 2018-19 financial year. Singapore Airlines values its latest planned Boeing order at US$13.8 billion based on published list prices. The deal includes flexibility for the SIA Group to substitute the 787-10 commitments for other variants of the 787 family. “We are continuing to invest for the future of the SIA Group. This order is also another demonstration of our commitment to further growing the Singapore hub, as we will be able to offer even more travel options for our customers,” says Goh Choon Phong, Singapore Airlines’ CEO. The General Electric GE9X is the sole engine type available for the 777-9, which SIA intends primarily to operate on long-haul routes. SIA has selected the Rolls-Royce Trent 1000 to power its 787-10s, which it plans to operate on medium-range routes. SIA has more than 50 current-generation Boeing 777s. Subsidiaries SilkAir, Scoot and SIA Cargo are also operators of Boeing aircraft, with 737-800s, 787-8/9s and 747-400 Freighters in service, respectively. In addition to the 30 previously ordered 787-10s, SIA has outstanding orders with Airbus for five A380-800s and 57 A350-900s. SilkAir has outstanding orders with Boeing for 37 737 MAX 8s, while Scoot has orders with Boeing for eight 787-8/9s and Tigerair has orders with Airbus for 39 A320neos.